Follow my progress as I complete the at home PiYo fitness program! Tomorrow marks the first day back for PD for the new school year! Second year teaching & moving to second grade!!! When I do have the time, this is my favorite way to enjoy my eggs. 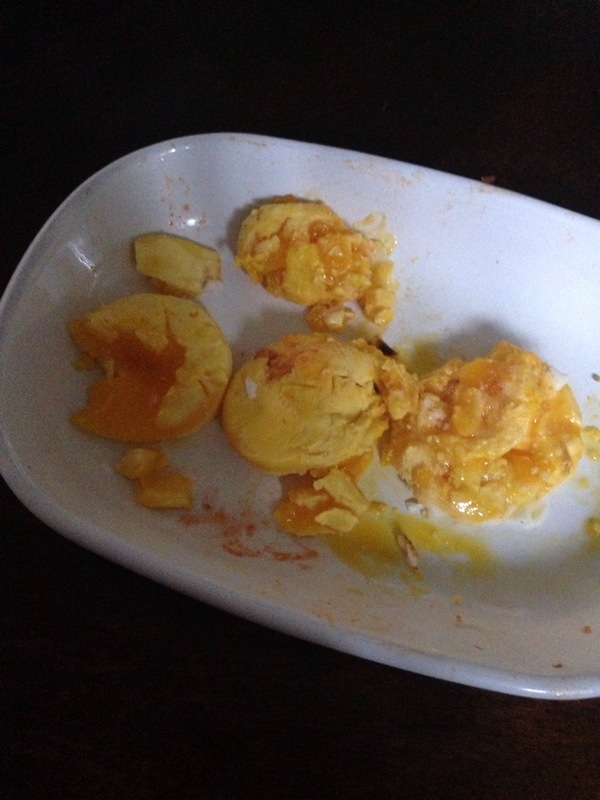 Since I wouldn’t use the yolks in other foods I make, it is a bit of a waste…But #1-I prefer my eggs made from whole eggs, not the cartain of egg whites, when I eat them like this (otherwise I will use just whites) and #2-I enjoy getting hints of the yolk in my whites without having to eat much of it. And #3-Its way easier than if I separated them as i put the eggs in the pan! And then I wanted to really pump up the protein, so why not have a chicken sausage😍 Love them! Whats your favorite lazy morning breakfast? 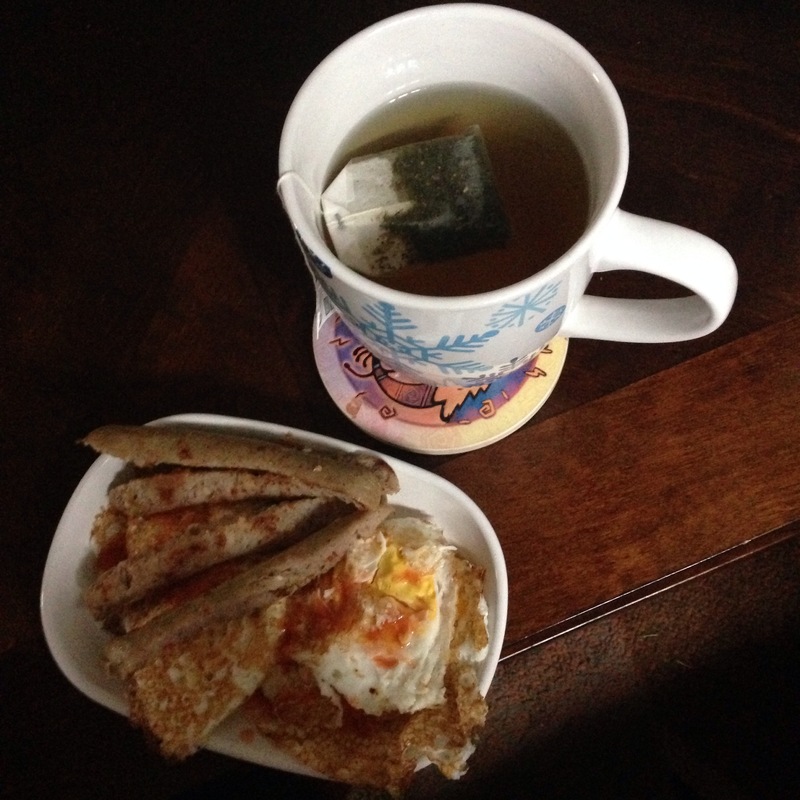 And if when you work you have busy mornings, whats your favorite on the go breakfast? This entry was posted in Misc. and tagged absaremadeinthekitchen, blog, breakfast, chickensausage, eat, eatforabs, eatwell, eggs, fit, fitness, food, health, healthy, inspiration, kitchen, lifestyle, livewell, motivation, muscle, progress, recipe on August 4, 2015 by AngelinaFitness. If you’re like me, on workdays you get up at the crack of dawn, want to get in as much sleep as possible, and hate the thought of having extra crap to do before work, even if that extra crap is making breakfast. I’ll admit to stopping at Dunkin Donuts, which of course, is right around the corner from me…and grabbing some non-nutritious, toxic-if you really look at the ingredients, egg white sandwich & coffee. $6 later I’m off to work, with at least a 5 minute detor, and end up naturally hungry again within the next 60-90 minutes. One solution can be meal prepping your breakfasts in advance. Egg white/egg “muffins” with protein and veggies, or overnight oats are great options that’ll only take you about 15 mins to prepare for the next day. Much better than that coffee shop temptation. But what if you want to save even more time? I am so happy I’ve gotten back into drinking this superfood powerhouse each morning. And best of all, it takes maybe 2 mins to make! 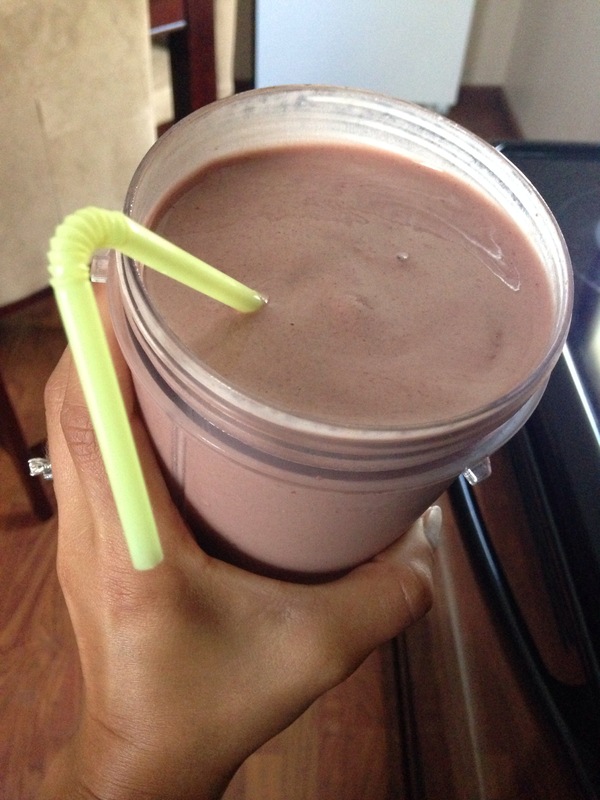 Throw it all into a blender, blend, and GO! Ingredients derived from whole-food sources deliver the daily vitamins, minerals, and other nutrients your body needs to curb cravings, allowing it to shed stored fat. 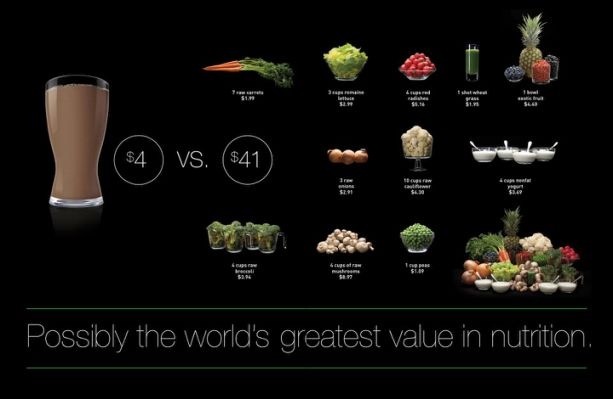 Over 20 different antioxidants and phytonutrients help reduce free radical damage that can lead to heart disease, heart attacks, high blood pressure, and stroke. Fiber, prebiotics, and digestive enzymes help your body gently eliminate toxins more efficiently and promote better absorption of nutrients. Protein and essential amino acids help build muscles and reduce food cravings. Prebiotics and digestive enzymes aid in improving digestion, regularity, and nutrient absorption. Antioxidants and phytonutrients help counteract free radical damage that can lead to degenerative diseases. A daily dose of vitamins and minerals provides your body what it needs to function for optimal health. AND you aren’t left feeling hungry an hour later!!! This entry was posted in Misc., Uncategorized and tagged breakfast, eat, eatright, fitness, food, getfitt, gethealthy, health, healthy, inspiration, lifestyle, motivation, nutrition, nutritious, progress, protein, recipe, results, shake, shakeology, workout on July 28, 2015 by AngelinaFitness. Do you surround yourself with people who keep you motivated? People who support you as you work towards your goals? People who will push you to keep doing more? One of the many things I love about teaching fitness classes is the motivating people I get to spend my days with. I am constantly meeting new people who are making lifestyle changes for the better, strengthening relationships with those who have been coming regularly, and finding myself pushing harder when I see others keeping themselves pushing past their limits. 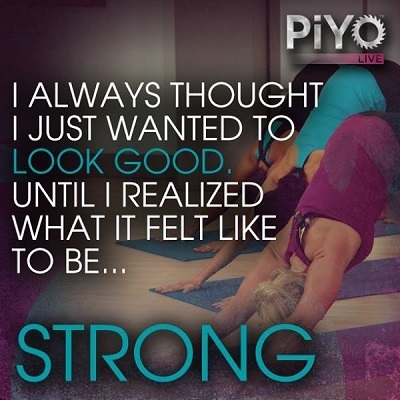 Especially with PiYo, I am privileged to see people be PERSISTENT with it and constantly reach new achievements. Its easy to give up when something gets hard…And let me tell you, things get very challenging in PiYo, but when you PERSIST and stick with it, its amazing the things that can be achieved!!! Remember, anything worth working for will challenge you. It will test you. It will make you SWEAT! All of that stuff is worth it! Burpees might seem like something you’ll never do. But get rid of that mindset! Break a challenge down into more doable steps. 1-Hold a plank on your knees for one minute. 2-Now hold a plank on your toes. 3-On your knees, lower down as far as you can while keeping your elbows tucked in to the sides of your body. When you feel your elbows chicken wing out, push back up. Gradually get lower and lower towards the mat. 4-Start on your toes. Lower down, keeping elbows tucked in, lower down to knees while at lowest point, and pushup on knees. 5-Once you can do approximately 8 of step 4, attempt the full tricep pushup on toes going down & up. Strive for once at first, return to knees when needed, and keep progressing with how many you can do on your toes from there. Persist with PiYo by breaking it down into doable segments. EVERYONE can be successful with this fitness format, that is the beauty of it! This entry was posted in PiYo, Uncategorized and tagged dedication, exercise, fitness, getfit, gethealthy, goals, health, healthy, inspiration, lifestyle, motivation, pilates, piyo, results, strength, train, workout, yoga on July 27, 2015 by AngelinaFitness. So you’re thinking of trying out a PiYo Live class at your local gym? Putting yourself into a situation where you’re outside of your comfort zone can be scary, but it can also be AWESOME! And can help lead to amazing results that you never would have imagined possible. I always tell my classes that the space outside of your comfort zone is where great things happen, where changes happen! Sometimes feeling a little more prepared for those situations can help, though. So here is a basic format of a PiYo Live class. Every class is based on choreography that we’re given, as instructors, and the music and choreography should be pretty much the same no matter where you are. That’s the beauty of a class like PiYo, whether you go to a class in LA, Florida, or NYC, the basic format should be the same and you should be able to follow along regardless of where you’re used to taking PiYo. Every instructor naturally puts their own spin and personality on their class, might do more or less reps of something, depending on their familiarity and their class’s familiarity with the lesson (each different PiYo class is called a “lesson” and we are currently on Lesson 40!). WARM UP-The warmup always stays the same, for the most part. FULL BODY FUSION-Starts with “PiYo Pushups” and then moves through 3/4 different exercises that flow together. If you go to my class, we like to say “BAM” when getting up from our pushups 🙂 SO FUN!!! One of my favorite parts of class!!! POWER-Bring on the cardio! Burpees, knee pulls, power squats, plyometric options abound in this section, IF you want to take it to a higher level. All classes should show you lower impact options of these moves throughout! FLOW-Slows things down a bit to really hold those yoga-based poses. We do speed it up a bit, but you get a great stretch (while strengthening) during this section! CORE & MORE-Just as it says, LOTS of CORE-Crushing moves!!! COOLDOWN-You’re safe! Push the limit with the stretches to really get the most out of them when your body’s nice and warm and you can really increase your flexibility and prevent injury. This entry was posted in PiYo and tagged cardio, core, dedication, exercise, fitness, fitspo, gym, gymfreak, health, healthy, inspiration, lifestyle, motivation, pilates, piyo, piyolive, piyoprogress, progress, strength, stretch, training, weightloss, workhard, workout, yoga, yogi on July 25, 2015 by AngelinaFitness. This snack helped me survive and thrive on the 21 Day Fix! 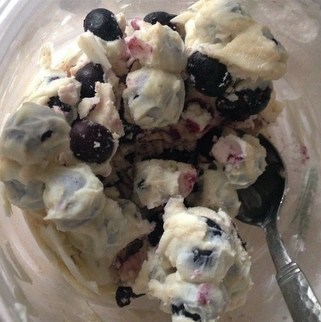 Super easy snack-On or off of the 21 day fix! Mix the ingredients together (I find that using frozen blueberries, or whatever fruit you’d like) helps give a nice frozen consistency a lot faster than using berries from the fridge, and put in the freezer for about 30-45 minutes. ENJOY!!! This entry was posted in Misc. and tagged 21dayfix, 21df, beachbody, berries, blueberries, dedication, dessert, eat, eathealthy, eatright, fitness, fitspo, froyo, fruit, health, healthy, healthydessert, homemade, inspiration, motivation, nutbutter, nutrition, peanutbutter, portion, portioning, protein, recipe, Snack, snacks, workout, yogurt on July 25, 2015 by AngelinaFitness. Another great program that Beachbody (the company that brings you PiYo) is the 21 Day Fix. What is the 21 Day Fix? Simply put, the 21 Day Fix makes nutrition easy! It takes the guess work out of portioning, and also does an amazing job of giving you the food you need to fuel your body without making you feel deprived or starved. It comes with different color-coded containers, different sizes depending on which food group the container is for, and based on your weights and activity level you are assigned a plan with a specific number of each container to eat each day.There are also daily workout dvds that get your blood pumping and are easy to modify for those newer to working out, but challenging enough for advanced athletes! 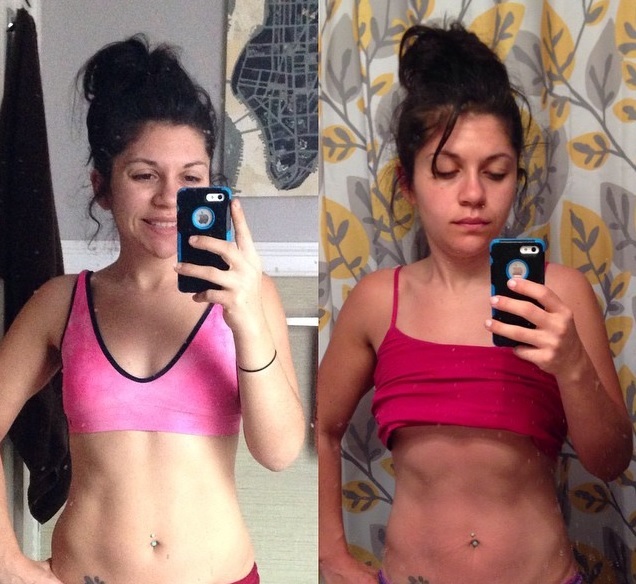 Here are my results from the 21 Day Fix. 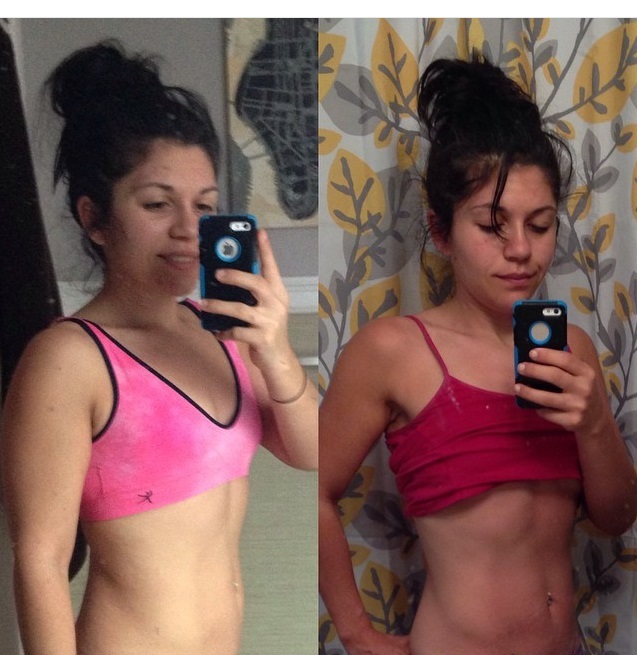 But more importantly than my results was how I felt while doing the 21 Day Fix. But seriously-I tend to eat too many carbs, even though they’re healthier carbs, I just know in my “normal”-non-21 day fix eating, I eat more than I should. And this program showed my the amount of carbs I should be eating for the activity level I live. And I felt amazing eating this way. Where can I get my own? Click shop-And find the 21 Day Fix under fitness programs! This entry was posted in Misc. and tagged 21 day fix, 21df, beachbody, dedication, eatright, exercise, fitness, health, healthy, inspiration, moderation, motivation, nutrition, piyo, portions, progress, results, strength, training, workout on July 25, 2015 by AngelinaFitness. So…I just got home from getting married! Woooo!!! And it made me think of this blog and the horrible job I’ve done of updating it. To update a little on where my life is-Rather than doing a lot of at home PiYo, I’ve actually made quite a bit of progress by teaching more PiYo Live classes at the gym. If you’ve never taken a PiYo Live class, you’ve gotta check out what gyms around you offer it and get out there. It takes, in my opinion, the best parts of the at home PiYo program and puts it into one crazy hour. But regardless, both workouts have become my favorite workout because they incorporate so many different aspects of fitness into one workout. You get strength, stretch, some cardio, and it does it in a way that is good for ANY fitness level. Advanced athletes can make it more challenging, adding in plyometrics and getting reallllly low in your squats and lunges. While those newer to working out can still get a lot out of it and find modifications that work for them. So now I’m trying to get back on track with blogging about health & fitness tips, ideas, workouts, etc. We’ll see where this blog goes from here! This entry was posted in PiYo, Uncategorized and tagged beachbody, exercise, fitness, fitspo, health, healthy, motivation, piyo, progress, workout on July 25, 2015 by AngelinaFitness.